I like mushroom very much, especially those with round chubby shape ^^ That's the reason why I found today's trail with our beloved baby sitter at Jingualiao stream really enjoyable. 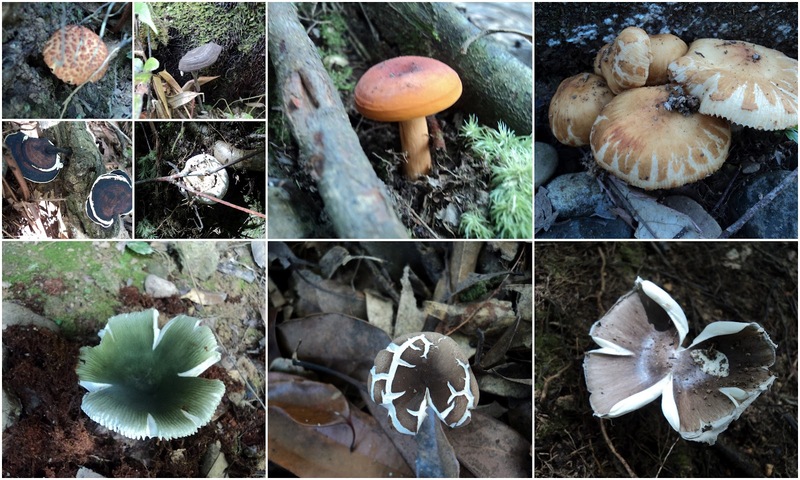 In fact Jingualiao stream is famous for fish and fern trail but it turned out to be a mushroom trail to me LOL. Hey, have a look at this! I've captured most of the mushrooms we came across today. Super cute, aren't they? And look at this! I was wondering whether this cave was among the shelters where indigenous Ayatal tribe lived in the late 18th and early 19th century @______@ Anyone dare to go discover inside?? This spider did a really skillful job!